26.08.2014 - Nongsa, Batam. 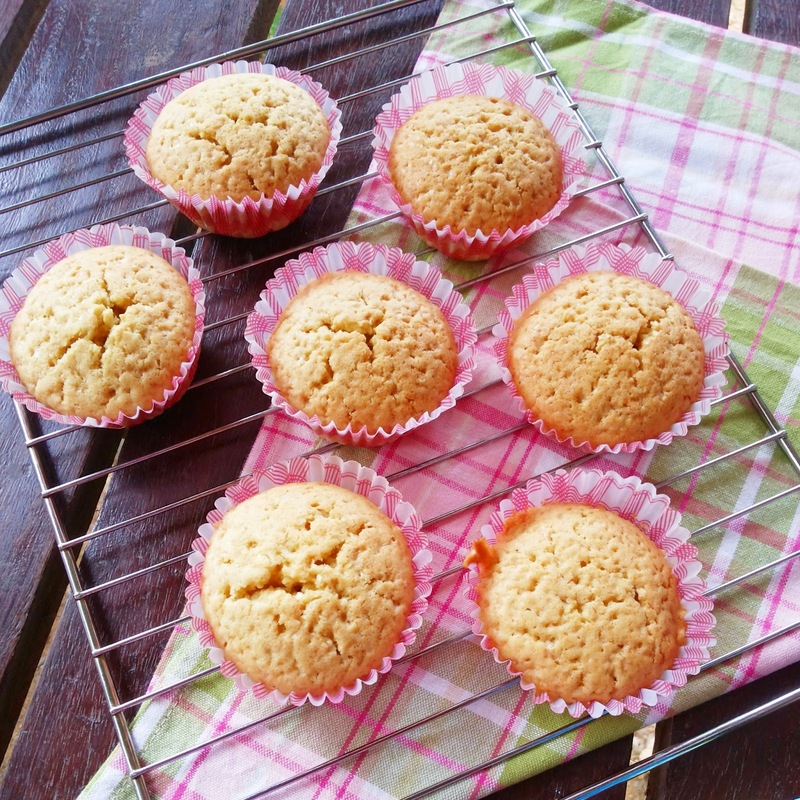 This is a great and simple basic vanilla cupcake recipe, recipe was adapted from mysingaporekitchen - basic vanilla cupcakes - 1 . I have been searching for a very basic and simple vanilla cupcake recipe and i gave this recipe a try. The recipe yields 12 cupcakes but i only did 7 cupcakes. Perhaps my cupcakes paper cups too big?! If you are looking for a light and soft cupcakes recipe, this is not the one for you. This cupcakes texture is moist and heavy almost going to muffin type of texture and not much crumbs. I personally like it! This cupcake is perfect for buttercream frosting as it can hold the frosting weight steadily, the cupcake also taste real good. Overall it was a great experienced and love making this again. Glad to found this recipe for testing. 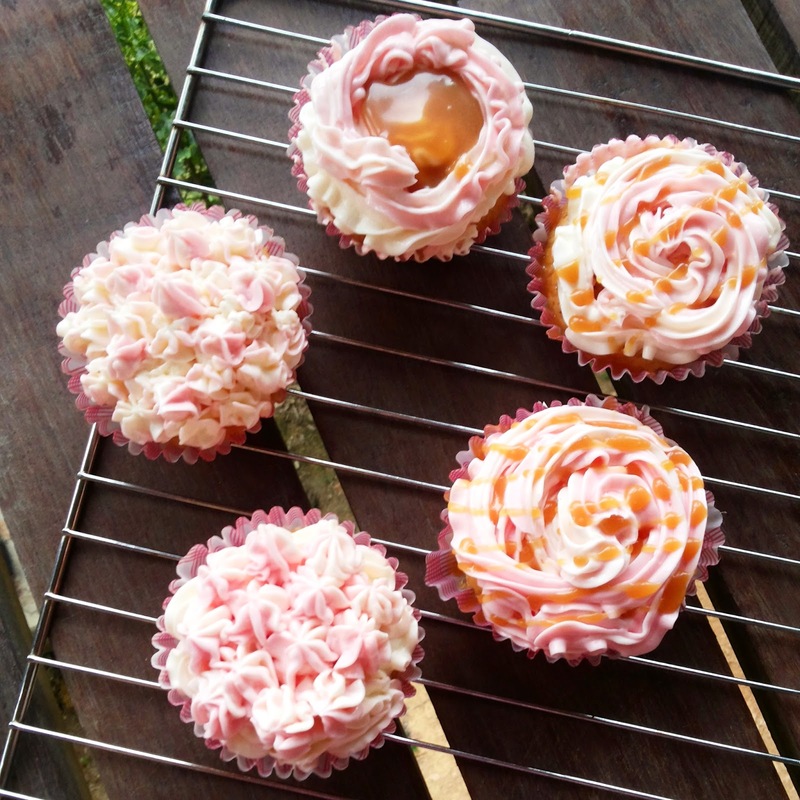 To find out more great baking recipes, you can log on to mysingaporekitchen, she has it all. Powder the sugar. Beat the butter and sugar until light and fluffy. Add in eggs one at a time. Add in the vanilla and pour into paper cups. Top with a raisin ( optional I didn't add any ).